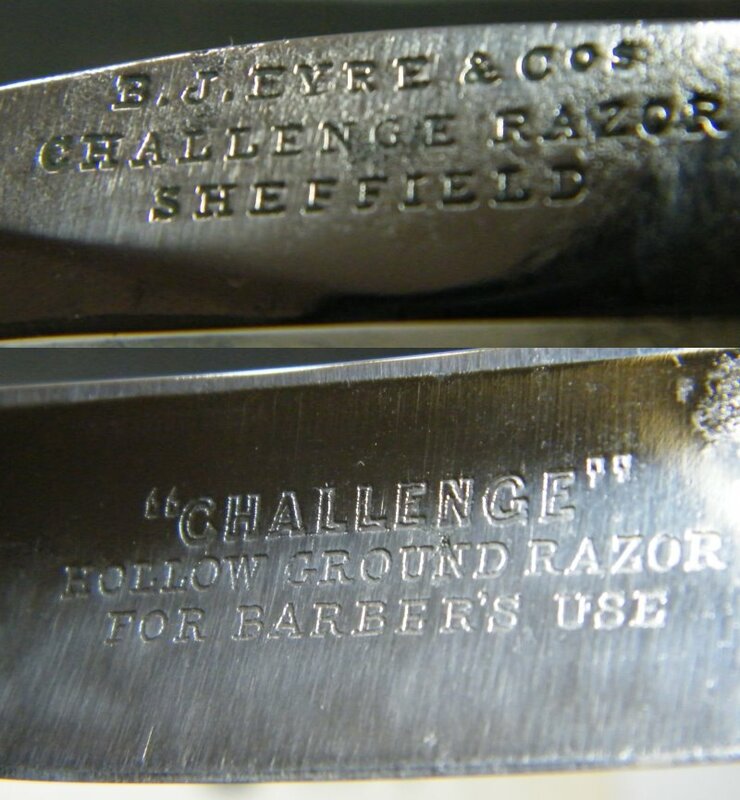 STRAZORS.com - all about classic razors - B.J. Eyre & Co., Sheffield. Benjamin James Eyre, the son of Ellis Eyre a grocer in Fargate, was born in about 1812 in Brough, Derbyshire, and became a merchant partner in the Sheaf Works of William Greaves. When the business was dissolved in 1850, Eyre, Ward & Co. was formed. Eyre invited Frederick Ward to join him, alongside two travellers named James Hale and William Brownell. 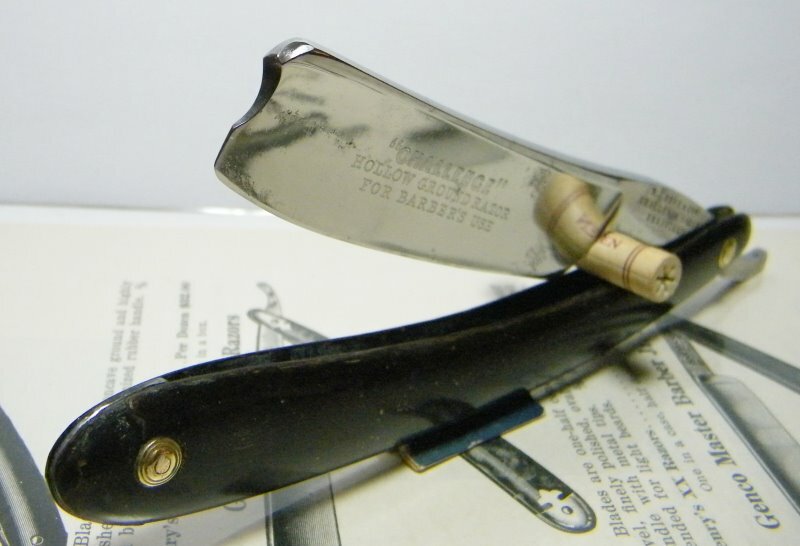 The company made its mark at the Great Exhibition of 1851, where it won a Prize Medal for its table cutlery (exported to the US, Canada, South America, and Australia) and its razors, pocket-knives, daggers and Bowie knives ("made from the best cast steel, and very variety in quality"), scissors, scythes, and sickles. In 1857, the Eyre, Ward partnership was dissolved. Benjamin Eyre began trading alone at Sheaf Works as B.J. Eyre & Co. In 1861, the Census recorded that Eyre employed 108 workers. After 1863 the firm's address was No. 116 Rockingham Street. Alongside his Sheffield office and residence, Benjamin Eyre owned Brough House, in the Hope valley. He was also chairman of the Milldam Mining Co. In 1876, he sold his Sheffield firm amd New York office to the New York merchant house of Frederick Wiebusch. Benjamin Eyre died at his residence in Collegiate Crescent on 5 September 1878, aged 66.